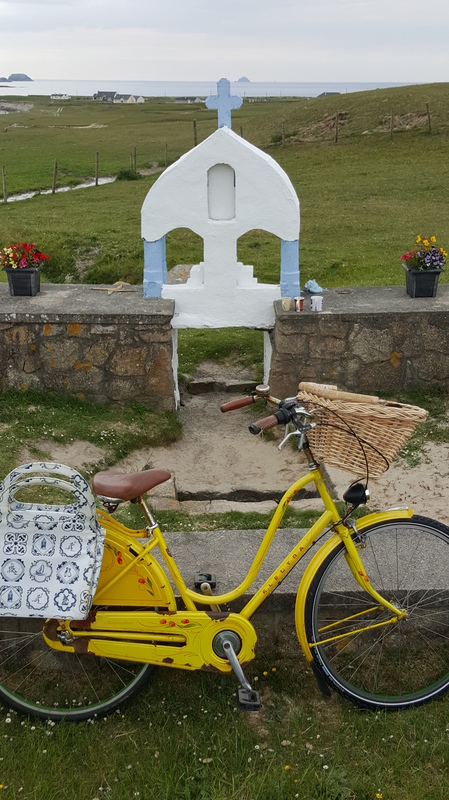 Although my blog is about my life with my yellow bike, I feel I had better explain that I have a long history with bikes of various colours before the appearance of the yellow one. Here’s a peep at those bikes. Bear with me as I waffle my way through. So it will be touch and go. I have just finished my nursing and midwifery training, and whilst the majority of my friends have already met their soul mates and are continuing to work hard and save for house, car, family, I am saving for a new tent and a sleeping bag. 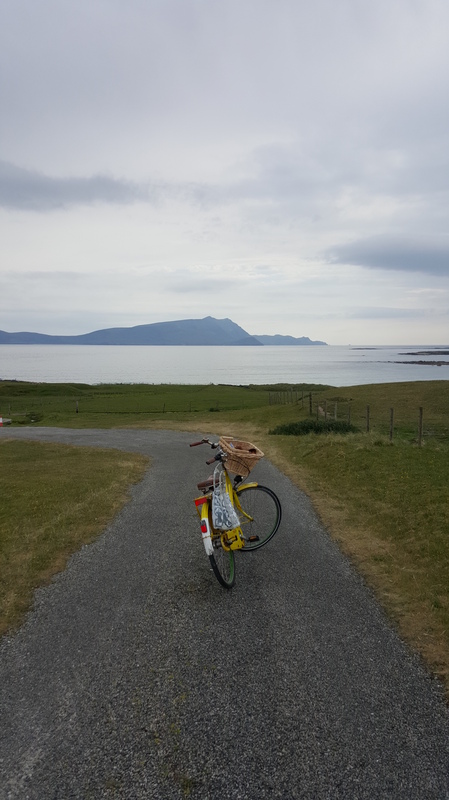 It’s early May and I have given myself five months to cycle from the most northerly tip of Donegal to cape clear island (co Cork)in the south. My Bicycle is a single speed traditional black Raleigh. 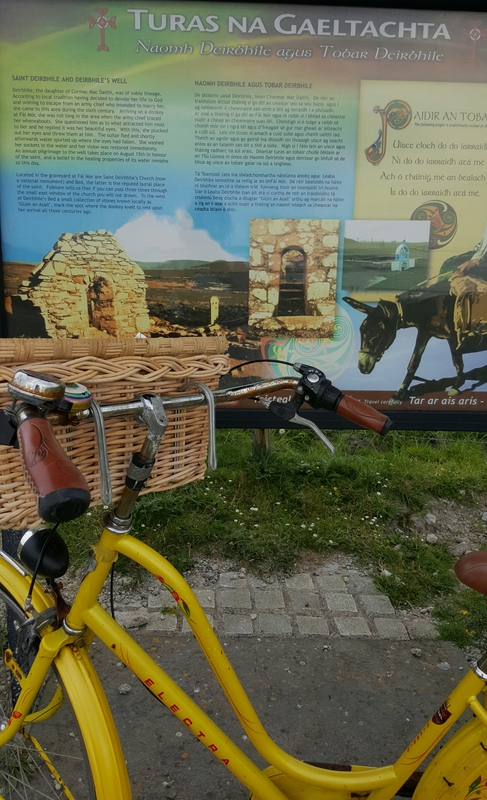 I start the easy way and put myself and my bike on the Dublin to Letterkenny bus, feeling that because I was starting at the most northerly point, I would be cycling down hill most of the way. Ahh! The optimism of youth. 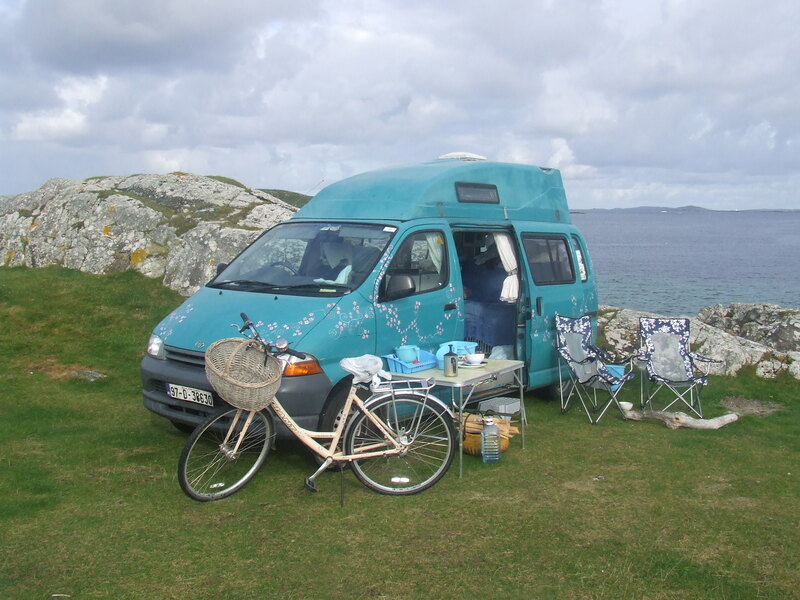 I spent those five months pedalling the smallest roads on my map, camping , fishing, swimming, loving, and attending every folk festival on my route. Sometimes I got diverted and stopped for a while if I liked an area, helping out on a small farm (hay to be saved, turf brought in from the bog). sometimes their were mountains to be climbed, Islands to visit. 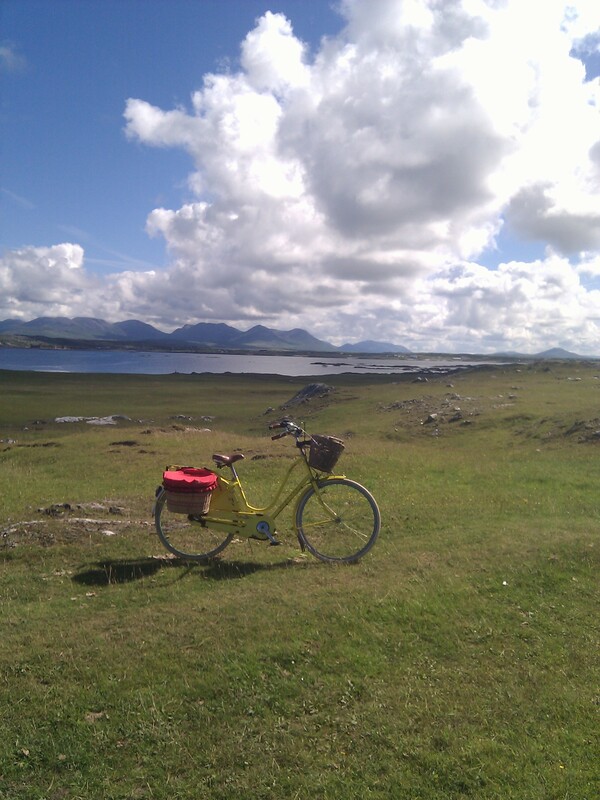 I dawdled for two weeks on Inisbofin, after falling in love with a local lad. Then back to the mainland again. 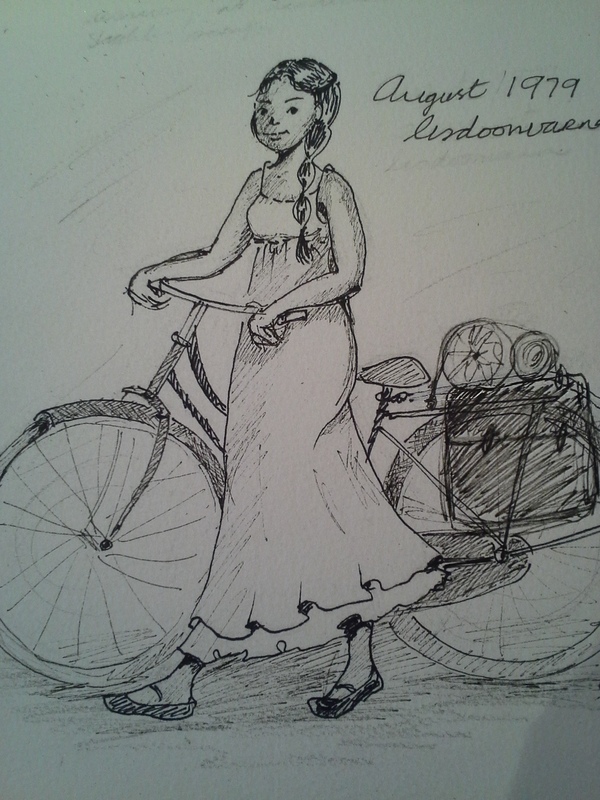 Once I met an American in the black valley and we cycled together up over Molls gap. When it got too steep for me I got off and pushed my bike, but he kept cycling , his speed the same as my walking. we chatted, his legs a blur in first gear. Rumour had it that at the lisdoonvarna folk festival, someone had met a cyclist with a wooden bike trailer. This was the time before Google, when you would have to use your detective skills. ‘He mentioned he was camping in lahinch’ The rumourist informed me. 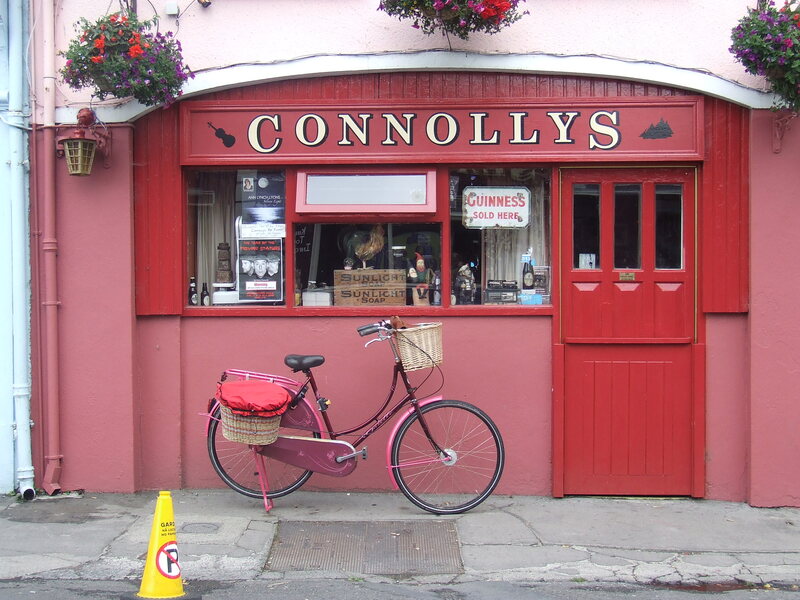 The bicycle shop in lahinch had the answer. ‘He was foreign, from Holland, a grand tall lad, came in to buy a bike tube, great piece of work that trailer, hinged at four corners. You could lift the base and fold the trailer flat’. ‘He mentioned Galway’ was the reply. But I had enough information. Holland would be my next years destination. I was determined to buy a bicycle trailer. I caught the boat, train and boat again to hook van Holland. 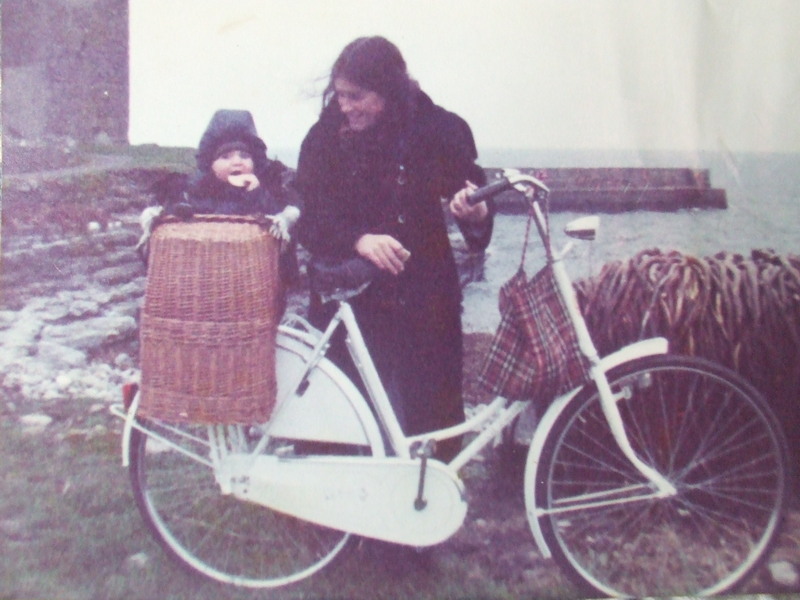 I bought my bike trailer, transferred my gear into it and decided I might as well take a scoot around Holland while I was there, though the wild mists of the west of Ireland were tugging at my heart strings. It was on this scoot that I met my (now ex) husband. 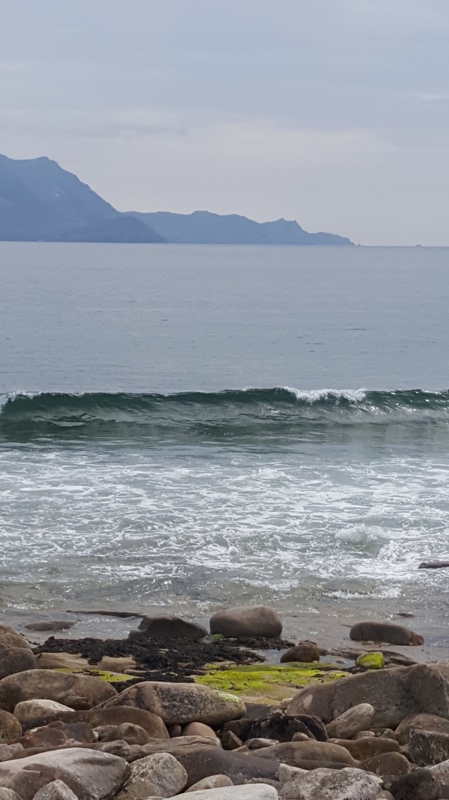 With promises to him that I would return at the end of my cycle, I spent another wonderful happy time repeating my journey from Donegal to cork. He followed me to Ireland and brought me back to Holland.. Enter ‘The White Bike’ A beautiful Dutch Gazelle. A sort of engagement ring from my Dutch man. Recently the white gazelle turned up at a family wedding. A blue Raleigh ten speed bike came next and though more than willing to whisk me over the Connemara hills it wasn’t really my style. A pale cream ‘giant’ was next but even though I painted flowers on it, in my heart of hearts I knew it wasn’t quite right! The best was yet come! My wonderful solid loyal Yellow bike……..